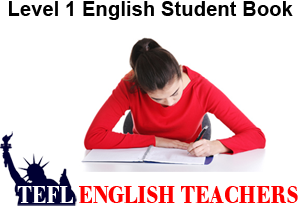 The TEFL English Teachers level 1 student book includes 12 homework assignments which are given Monday to Thursday during the first 3 weeks of class. Written exams are administered on Fridays during weeks 1-3 followed by oral and reading exams during week 4. Students most pass the oral exam with a score of 80% or higher in order to graduate to the next level. It is very important for the English students to finish their daily homework assignments in the classroom before going home. Most English students residing in a 3rd world country work 8-12 hours a day and wont have time to complete their homework assignment outside the classroom. This ensures the students are prepared to participate in the following day pair work session in which 80% of the learning occurs. Students with incomplete homework are unable to participate in the next day pair work session and hold back the entire class. For convenience TEFL English Teachers also offers a 26 page Teachers book which is identical to the student books but also includes a student attendance and grade sheet.